Sulmona's confetti are known globally for their unique flavor, traditional production methods and the usage of Avola almonds, which are some of the country's most cherished almonds because of their strong flavor that lacks any hint of bitterness. 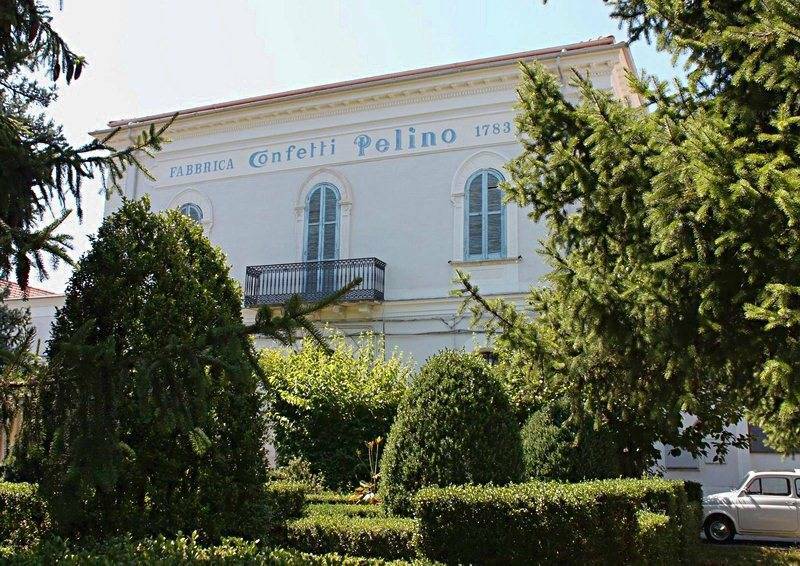 They are refined products that embody the pride of the Italian made. When there is a celebration most likely colorful little things called confetti are involved. Now depending on which part of the world you are confetti can be totally different. 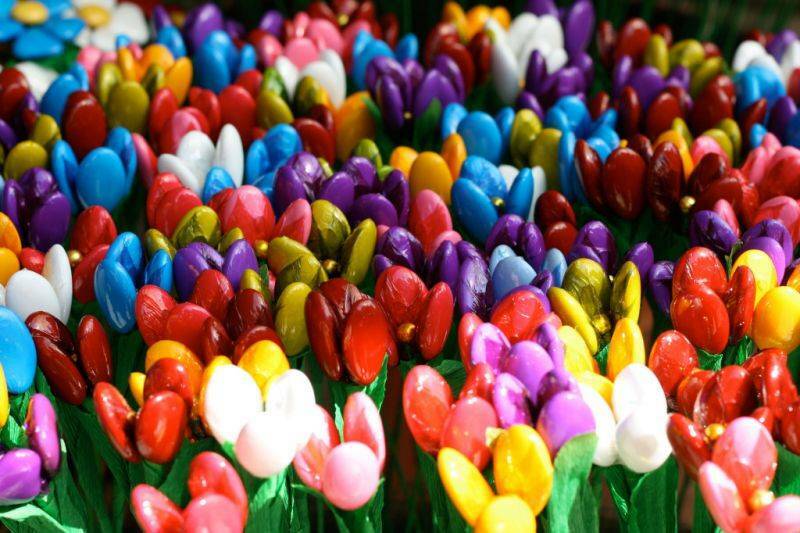 In the US and most other nations they are tiny specs of colorful paper that are thrown in the air to make us cheerful, in Italy, they are sugar coated almonds that are given at celebrations, such as weddings, baptisms and anniversaries, in a wish for good luck (Odd numbers are considered lucky, therefore 5 is the right quantity). 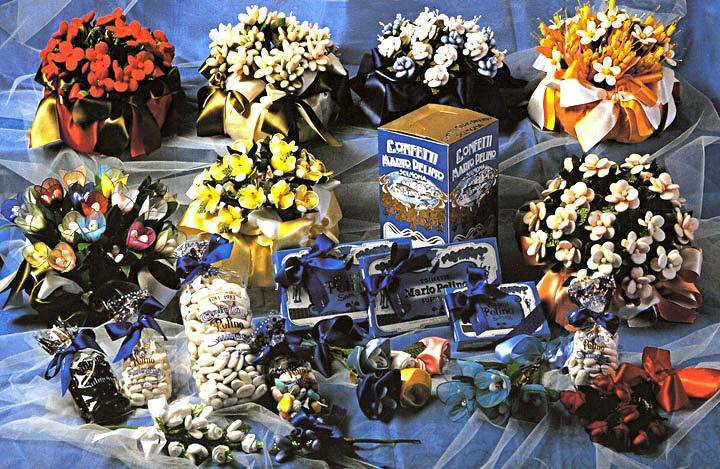 In Italy confetti are traditionally given at important celebrations, such as weddings, anniversaries and religious events, life baptisms and confirmations. Belief is that they bring good luck, so it is customary to give a nice bundle of these sweet treats to all guests (attending or not). This tradition is believed to have started in the 1400's when they were given to actors for good luck for the upcoming performance. Confetti come in different shapes, sizes and colors. Traditionally, white confetti are given at weddings, because they represent the pureness of the bride in small fabric bags as a good wish for each guest. The amount of confetti given has to be odd as it symbolizes the birth of a baby. At christenings confetti are pink for baby girls and light blue for boys. For anniversaries they can be of any color but for a couple's 25th they have to be silver and for the 50th they have to be gold. For college graduation they need to be red. 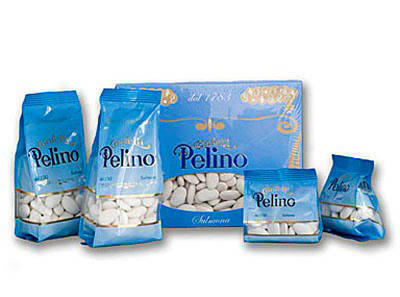 Italy is the major producer of these special little sweets although Spain and Portugal are the main consumers. Sulmona, a city located just 90 minutes from Rome, in Abruzzo, that has a storied architectural history and is known for its medieval aqueduct which divides the city and for being the birthplace of Ovid, the father of the Latin language, is Italy's shining star in confetti production. The city has an abundance of quaint little shops where you can purchase fine leather, jewelry and regional crafts. 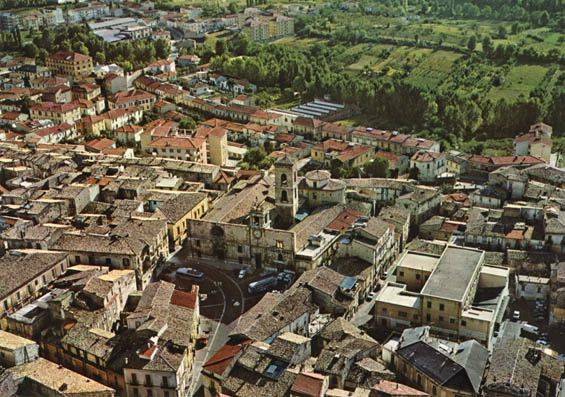 It has an array of cafes, restaurants and trattorias that specialize in the rich regional “cucina d'Abruzzo.” Confetti are only one culinary specialty that this region has to offer and here they are made of all kinds, not just the regular ones with almonds or chocolate but some more unique like the ones filled with liquor or truffle paste, and even cannellini, long and skinny confetti filled with cinnamon. 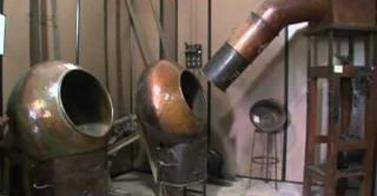 As far as productions is concerned, roasted almonds are put in rotating containers called bassine (these containers have different shapes and types of rotation). 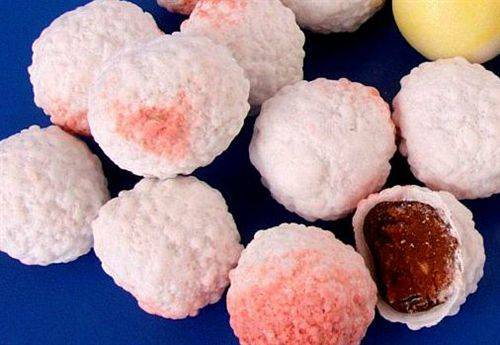 They are atomized with saccharine solutions that, thanks to the heat caused by the insufflation of hot air, evaporate leaving behind a uniform layer of sugar on the almonds. The entire process requires repeated phases of soaking and drying as many as needed to obtain the desired coating. What is also unique about Sulmona's confetti is that they do not feature any thickening ingredients, such as flour or starch... there is only pure, delicious sugar. After the final coating phase, confetti have a wrinkly and irregular surface so they go to a filing process, then a coloring phase and a final polishing. 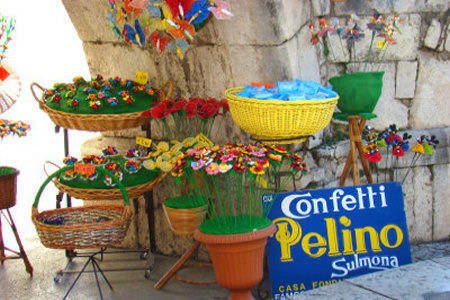 In Sulmona confetti are made of any color and they are used in the creation of beautiful flowers that are sold in stores as real flowers would. 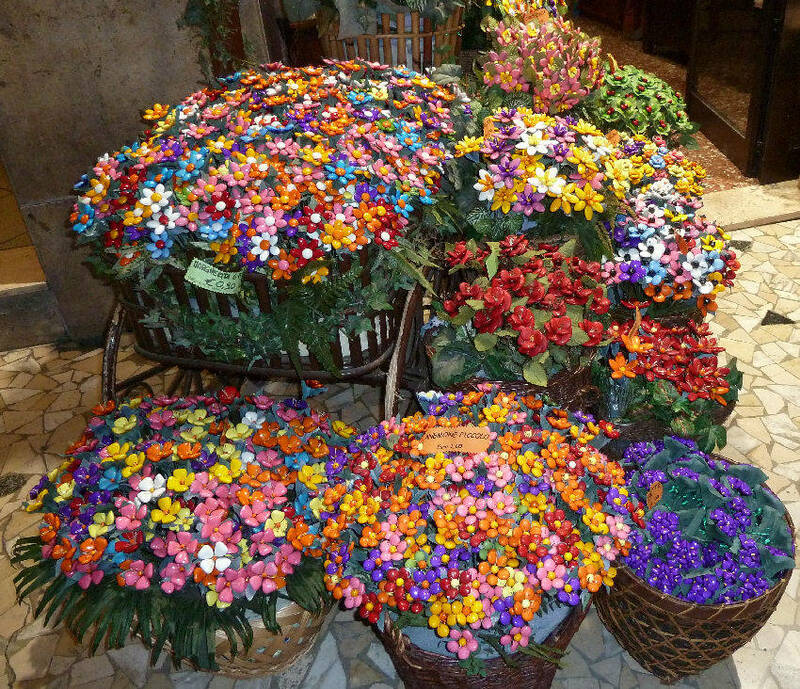 They are put together in colorful bouquets or sold alone, by color or by flower type... the choices are many.